Hut says this is the best Smith system he’s ever seen…and that counts for a lot, coming from a superstar athlete who has used his fair share of fitness equipment! Craig & Hut also reviewed the Hoist Functional Trainer, which can pair with the Hoist Mi7 Smith Ensemble…or they can stand on their own. 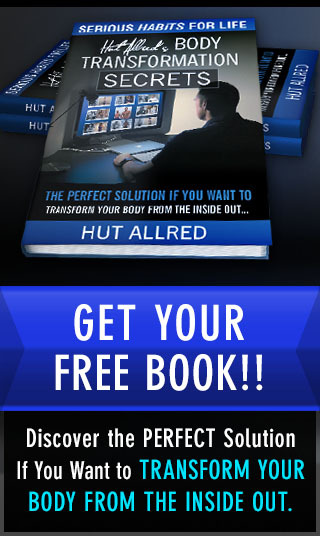 Hut: This is Hut Allred from New Wave Fitness here with Craig Lewin. How are you doing? Craig: Hello! Good. How are you? Hut: Mr. Busy Body and Fitness Headquarters. Craig: That’s right. We’re at Fitness Headquarters today. Pretty exciting, up here in Frisco, Texas, to talk about this Hoist Mi7 Smith Machine. Hut: Yes. This is really cool because it’s an attachment that goes with the Hoist Functional Trainer, which we’ll add to this video a link so you can go check that out. It’s really cool how you can add it to the Functional Trainer or it’s just a standalone product. Craig: That’s what’s amazing about Hoist. They really make it to where you can put things together, you can split them up if you need to, just depending on what the need is. This Smith machine is just incredible, even if it’s just a Smith machine by itself. It’s a very small cage. It doesn’t take up a lot of space at all, which is awesome. The big thing with this is the technology of the Smith aspect of it. This Smith free floats. What’s amazing is I can literally take this out. Hut: I’ve never seen anything like that. Craig: I’m (indiscernible) back and forth and it’s incredible. Now what’s happen is I have the safety of a Smith but if I go in and do my squats I have the same feel as if I’m doing free weights. Hut: Yes, you have that instability. It’s not stuck. That’s huge. Craig: Exactly. It’s amazing. You can wrap it out back here or you can wrap it out coming forward. Hut: I’ve never seen anything like this before. This is unreal. Craig: It’s amazing. It’s the most incredible Smith machine. You can do so much with it. You can throw a bench in here, obviously, do your flat incline/decline bench press. Doing the bench press with that free-floating design where it really follows your natural motion, it makes a huge difference. Hut: It looks like they’re pretty easy. Craig: They’re really simple. They just pop off and you can adjust it up and down. It makes that really easy to do. The other thing that’s really cool too is you can get in and drop the bar down. You can do shoulder shrugs. You can do lifts. That’s what’s great. Craig: Hut, do that again. Craig: You can’t do that with a regular (indiscernible). Hut: This is great for athletes. Craig: It really is, yes. In fact, we have a lot of Cowboy players, because we’re in Dallas, who have purchased this, and a lot of the Mavericks players. We have sold these Mi7 Smith ensembles to a lot of them. The only reason I say that is just because they want something that they can really put a decent amount of weight now and they want something that’s functional for the type of exercise that they’re used to. Hut: I would have to say this is the best Smith machine I’ve ever seen. Craig: That’s a lot coming from Mr. Running Back. I’ve been watching a lot of his videos from 20 years ago, when he was doing his thing at North Texas, pretty fun. It’s true. It feels incredible. First of all, the smoothness of it is amazing. Hut: This is unreal, man. Craig: You can do bicep curls. Hut: You can do that. Craig: How would you do that in a regular set? Hut: You don’t. You can’t. Craig: You can’t do it. Craig: I’ll tell you another one which is really cool. If you lay a bench in there, you can do skull crushers with it. Literally, behind your head and you can do skill crushers. It’s incredible. Craig: They’ve really done a good job. Hut: You have to come check this out. If you are into fixed position presses, Olympic lifts and you want to have something at your home that is safe, wow! This is unreal. This is awesome. Craig: I think Hut likes it. I’m kind of excited. Hut: I think this is the most excited I’ve been. Craig: I like to put him on the spot and not tell him anything about the piece of equipment before we go live on these things so I can see if it’s genuine excitement or not. This is genuine excitement. I’m pretty pumped up about this. Craig: It’s a great piece of equipment. It’s in all of our Fitness HQ stores and our Fitness Outlet stores you can see all over Dallas. Just go to FitnessHeadquarters.com. Even if you are watching this video and you’re not anywhere in Dallas, you’re not of the area and you just want some information about it, feel free to reach out to us. We’re happy to give you advice and put you together with whoever your local dealer is if you’re calling from another state. We’re here to help you guys. Hut: This is cool. Come check it out. Again, this is an attachment that goes with the Mi7 Functional Trainer. We’ll add a link to that video to this. It’ll be on our blog. Check it out. It’s awesome. Take care, y’all.